The availability of large digital corpora (e.g. books, newspapers, social media) is creating new opportunities for scholars in the humanities and the social sciences. The application of modern big-data analysis techniques to these datasets can provide new insights into society, culture and history, enabling (not replacing) scholars. Recent work has shown how the analysis of historical newspapers can reveal information about trends, biases, and changes in our past; how social media content can carry information about social transitions and attitudes; and how digitised books could teach us something about language and culture. As some of these tasks could not realistically be performed by hand, while others cannot be fully automated, an important debate in this area concerns which kind of questions should be addressed by semi-automated means, and how humans and machines can best complement each other.We will discuss aspects concerned with the mass-acquisition of digital text from historical documents; the acquisition of behavioural observations from web users; the analysis of this data by automated means; and the use of text for psychometric analysis. We will debate what is now possible by applying quantitative thinking in the humanities and social sciences, based on the present data and technologies; what we can learn about ourselves from this digital data; how can there be a productive collaboration between data science, social science and humanities; and what cannot or should not be left to machines. This workshop will try to identify the current state of the art, and the forthcoming challenges. 10.30 – 11.10: Fiona Courage (Head of Special Collections and Curator of Mass Observation, University of Sussex) — “On Mass Observation“: Mass Observation has been collecting data on the British People for over 80 years, highlighting the everyday and ordinary experiences and opinions that would otherwise have been lost to history. This paper will look at how Mass Observation has gone about this work since its foundation in 1937, and how it has had to adapt in recent decades as we enter an era in which recording and broadcasting everyday lives has become commonplace. 15.40 – 16.20: Julianne Nyhan @juliannenyhan (Senior lecturer in Digital Information Studies, University College London) — “What can the Humanities do for digital technologies?”: In this talk I will describe and exemplify some of Digital Humanities’ central approaches to the formation and transformation of knowledge. I will draw on case studies related to my research (including ‘Enlightenment Architectures: Sir Hans Sloane’s Catalogues of his collections’, a collaboration with the British Museum and the Marie Curie-funded Critical Heritage Studies and the Future of Europe (CHEurope) project) in order to explore the new perspectives that digital techniques have brought to Humanities and Heritage research. At the same time I will point to some of the Humanities perspectives that have not been adequately integrated into the digital research field (writ large) and argue that the development of a more critical Digital Humanities will benefit the Humanities and digital technologies alike. A second workshop on ‘The Ethical and Social Challenges Posed by Artificial Intelligence’ (25th June, 2018) is also being run separately by the thinkBIG project. Please visit http://thinkbig.blogs.bristol.ac.uk/ethical-social-ai-workshop/ for further information. Cumberland Lodge is located in Windsor Great Park, an ancient royal hunting forest and part of the Crown Estate (see on Google maps). 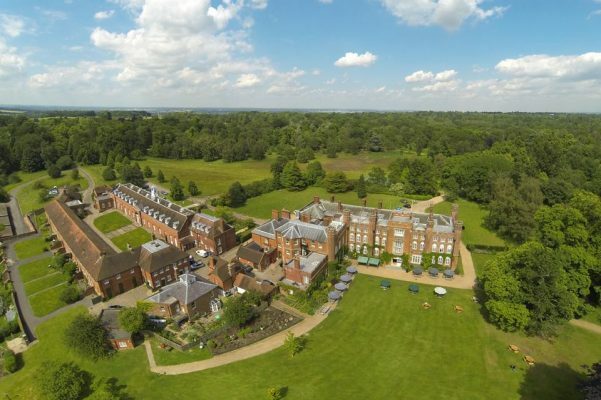 Cumberland Lodge is about 20 minute taxi ride from Heathrow Airport. From Gatwick there is the choice of train into London, then via Waterloo to Egham (the closest station to Cumberland Lodge), and from there by taxi. Cumberland Lodge can be reached via M25, from the west via M40 & M4 and from the south via M3 & A30. More details are available on Cumberland Lodge website.